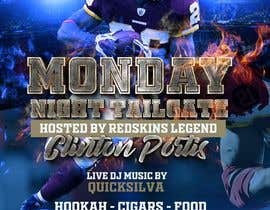 I need a flyer designed for MONDAY NIGHT TAILGATE hosted by Redskins Legend, Former RB Clinton Portis. 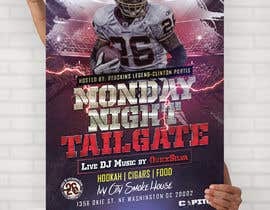 The event is held at IVYCITYSMOKEHOUSE Address 1356 Okie St. NE Washington DC 20002. 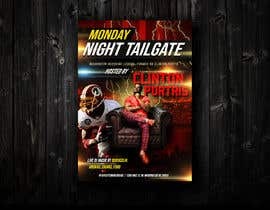 Flyer must include a picture and/or pictures of Clinton Portis. Looking for a new concept than the two former flyers I've attached. 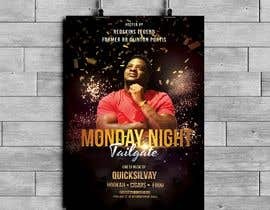 The event as has Live DJ Music by QuickSilva. HOOKAH, CIGARS, FOOD.. 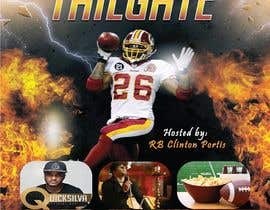 I've attached some photos of clinton portis, but you can also find 1000s by seaching his name on google.